Whoopi Goldberg drops by to laugh out loud with Phil… What happens with Joe Biden makes a surprise appearance? In the 1980’s, you could find Phil Iazzetta either playing baseball on the streets of Queens, or at the NYC or Metropolitan Opera playing the role of Trouble in Puccini’s “Madame Butterfly,” performing with the likes of Placido Domingo and Renata Scotto. Alongside Phil’s incredible early operatic beginnings, he appeared as a semi-regular on “Late Night with David Letterman,” “Friday Night Videos,” as well as several national advertising campaigns for Thundercats, Holly Farms and the WWE. Furthering his entertainment career, Phil ventured into the world of radio as a co-host and beat reporter for several New York radio stations including WLIB and WFAS, before jumping to the ABC radio network with over 125 million listeners. In 2002 Phil became the host of Sirius’ radio first “live” call in sports program, leading to a four-year run as host of Raw Dog, an uncensored comedy channel and daily talk show. Phil served as a founding member of Howard Stern’s Howard 100 news team and has worked on air for National Lampoon Radio as well as serving as Lampoon’s Vice President. 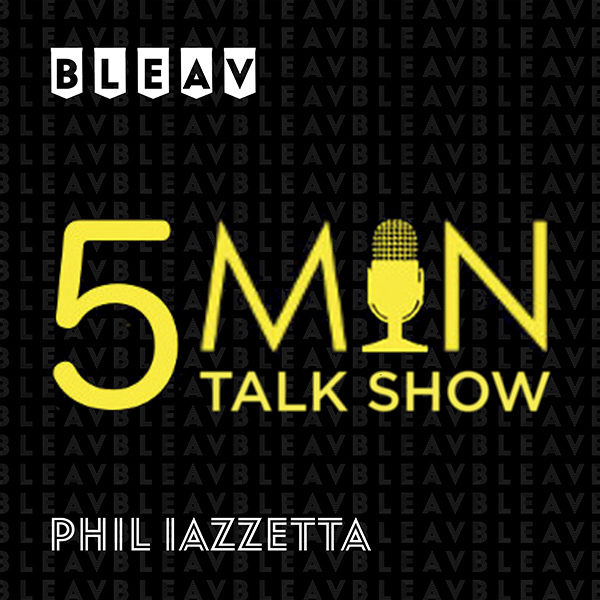 Today, Phil brings his incredible resume to Bleav, interviewing the biggest names in comedy and entertainment. Phil can also be heard as the on-air voice for iHeart’s most listened to station—24/7 Comedy.